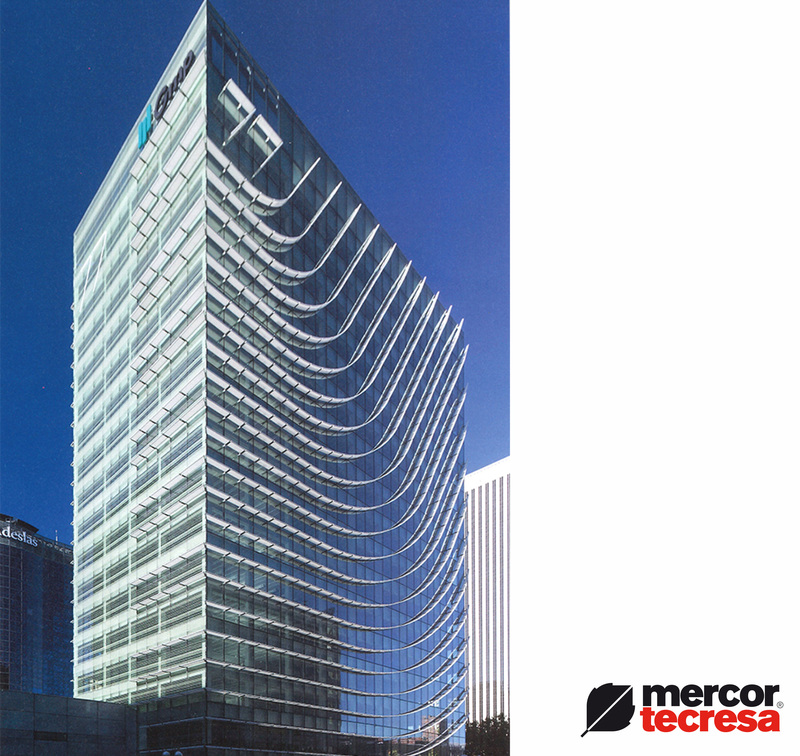 mercor tecresa® has participated in the renovation of Castellana 77, property of GMP Group. This 18-storey building located at the core of the business centre of Madrid is already endorsed by several awards and certificates in terms of aesthetics, suitability and energetic efficiency. Regarding the Passive Fire Protection, we have supplied the sealing systems on service crossings, such as: metallic pipes, cable trays, wiring harnesses, etc…using Tecbor® Joint Paste Ready to Use, which has provided an integrity and isolation EI-120 to the building, according to the Standards UNE EN 1363-1 and EN 1366-3. The risk of fire propagation must be reduced by using Sealing Systems for penetrations, in the points where the services cross through the fire compartments. Tecbor® Joint paste ready to use is an ablative coating containing an aqueous dispersion of blinding polymers that produce an endothermic reaction in event of fire, thereby preventing the spread of flames and limiting the propagation of fire and smoke. Tecbor® Joint paste ready to use is most commonly used for to protect cables trays in order to ensure that electricity is maintained during a fire, and to form secure joints in ductwork formation. Contact our commercial team for further information.